Thai military are preparing a proposal on buying Ukrainian BTR-4E armored personnel carriers, according to Yuriy Biryukov, Defence Head’s Chief Advisor, who is taking part in the Defence&Security-2017 international conference in Bangkok. “Our personnel carrier passed through certification and was allowed for purchase. Now a decision is made on the volumes and financing,” Biryukov said. Specially for the conclusion of the contract, Ukrainian side brought to Bangkok an armored personnel carrier with a real experience of combat use instead of a new equipment for demonstration. Ukraine and Thailand had previously successfully cooperated on BTR-3 and Oplot tanks programs, Ukraine had also started supplying BTR-4 to Indonesia. At the beginning of the current year BTR-4E successfully passed the procedure of standardization for military equipment and weapons in Thailand. According to the Ukrainian side, the negotiation process is expected to finish in 2017-2018. In recent years, Thailand has become one of the main buyers of Ukrainian technology in Southeast Asia. 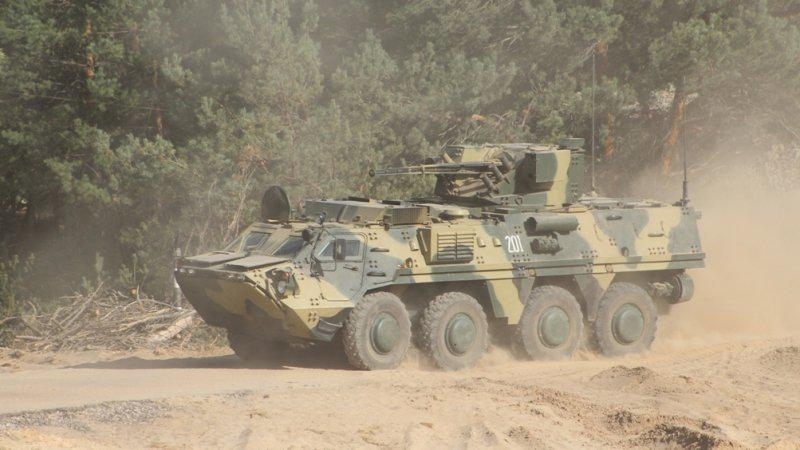 In the period from 2010 to 2015, Thailand purchased 233 units of BTR-3E1 personnel carriers, and since 2011 Ukraine has supplied to that country 49 "Oplot" tanks under the contract.